"The Hartford Marathon Foundation is extremely pleased with the service and product provided by HJ Hoffman Company. We place over 50 orders annually with your company and each one is handled with great care and competency by your staff. Deliveries are on time every time. When there is a problem, you quickly remedy the issue and do whatever it takes to deliver complete customer satisfaction. We have done business with your company for more than eight years and I continue to be impressed by your service." Not long after that Greek dude ran to the next town to save Athens* 2,500 years ago, the nicely-printed tee-shirt has been a promotional staple of marathons, other sports events and events in general. We've spent the 2.5 millennia since (okay, more like the last decade) improving our apparel printing services for events. Want to ensure each of your participants gets a shirt while your organization doesn't get stuck with excess extras? With HJ Hoffman, you can order as many as 4,000 shirts as late as four business days before your event. We can even bail you out on short notice, if, for example, "someone" completely forgot to order them. You can also split orders so the bulk of your shirts are sent at the lowest possible shipping rate. Not sure what makes sense for your event? Just ask us. You might want to offer more fitted or fashionable styling or a wicking fabric. From hats to running tops to yoga pants to golf wear to bags, we can help you select and print the technical gear that helps your event and organization stand out. 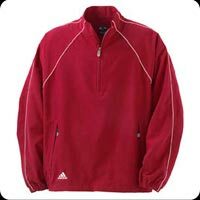 Brands we offer with technical clothing include Addidas, Columbia, Augusta Sportswear, Bella (yoga wear) and others. Check our current offerings. If you don't see what you want, ask us. We can also provide design and artwork services to make your job easier. You know what to do, right? Just ask us. * According to Wikipedia, the whole marathon thing began when the herald Pheidipiddes, unwilling to admit he could not recall where he left his horse the night before, ran to Sparta instead. First he went 150 miles in two days, which makes him more of an ultramarathoner. Then he might or might not have run 26 miles more (although he is unlikely to have called them "miles") soon after. And he might or might not have spoken to the god Pan somewhere along the way. And he might or might not have misled the Spartans about said conversation in order to encourage them to a) not notice his lack of a horse and b) skip lunch and go fight for Athens. The rest is, of course, history and not really relevant to your need for 7,000 shirts by Saturday. Except we would run them over if you needed.